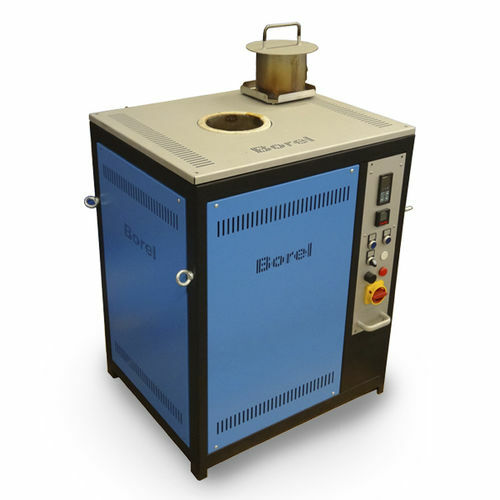 News & Trends> Product Trends > Industrial machines and equipment > SOLO Swiss & BOREL Swiss > SOLO furnace in perfect condition after 30 years of production, 6 days/7, 24h/24 ! 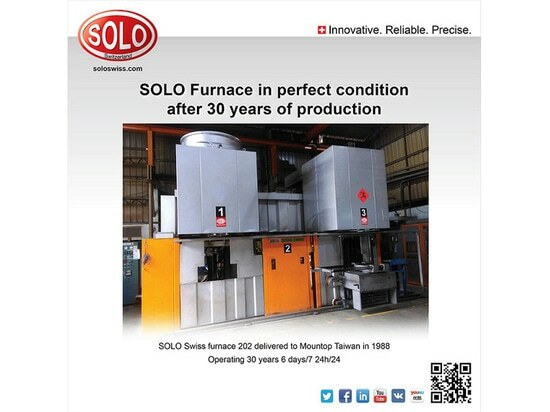 SOLO furnace in perfect condition after 30 years of production, 6 days/7, 24h/24 ! 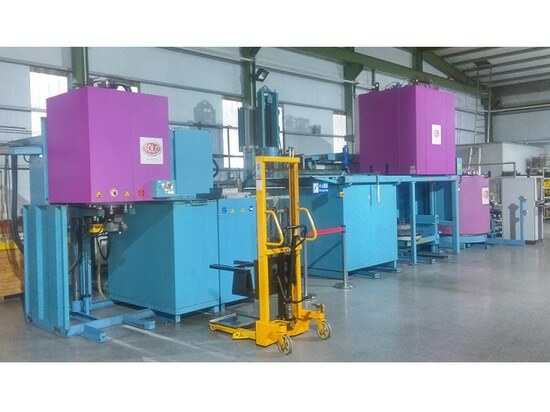 SOLO Swiss batch furnace Profitherm P300 shipped to Taiwan. SOLO Swiss batch furnace Profitherm P300 shipped to Taiwan. SOLO Swiss batch furnace Profitherm P300 shipped to Taiwan. SOLO Swiss invites you on its booth n° A-432 at „INTERMOLD 2019 – Japan International Die & Mold Manufacturing Technology Exhibition“ exhibition, which takes place between 17 and 20 April in TOKYO, Japan. SOLO Swiss invites you on its booth n° A-432 at „INTERMOLD 2019 – Japan International Die & Mold Manufacturing Technology Exhibition“ exhibition, which takes place between 17 and 20 April in TOKYO, Japan. 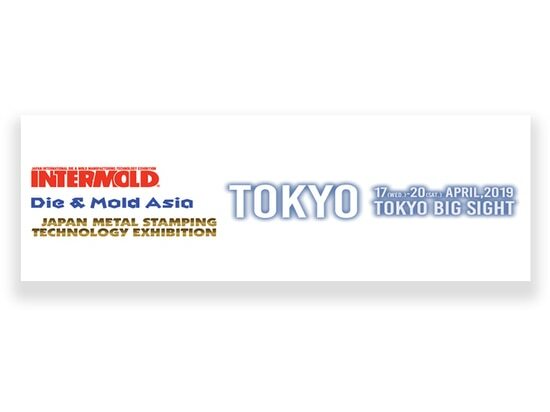 SOLO Swiss invites you on its booth n° A-432 at „INTERMOLD 2019 – Japan International Die & Mold Manufacturing Technology Exhibition“ exhibition, which takes place between 17 and 20 April in TOKYO, Japan. 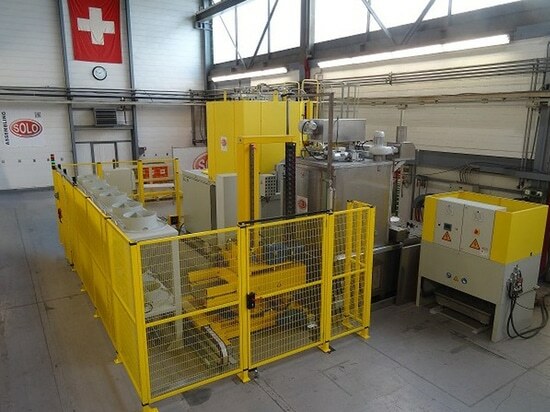 SOLO Swiss full automatic heat treatment furnace Profitherm P300 shipped to Hungary. SOLO Swiss full automatic heat treatment furnace Profitherm P300 shipped to Hungary. SOLO Swiss full automatic heat treatment furnace Profitherm P300 shipped to Hungary.